How often do you replace disposable razors? Realizing these suckers don't last long, I stopped using expensive disposables years ago and switched over to lower priced razors that I wouldn't feel guilty about tossing more frequently. Disposable razors make a LOT of waste. 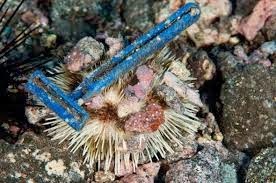 Making an effort to be environmentally responsible, I'm happy to report that I've found recyclable disposables (Preserve Triple Razors and Schick Xtreme3 Eco) as welcome alternatives. I was shocked that I couldn't find ANY other options for recyclable disposables! We've only got one earth, people. 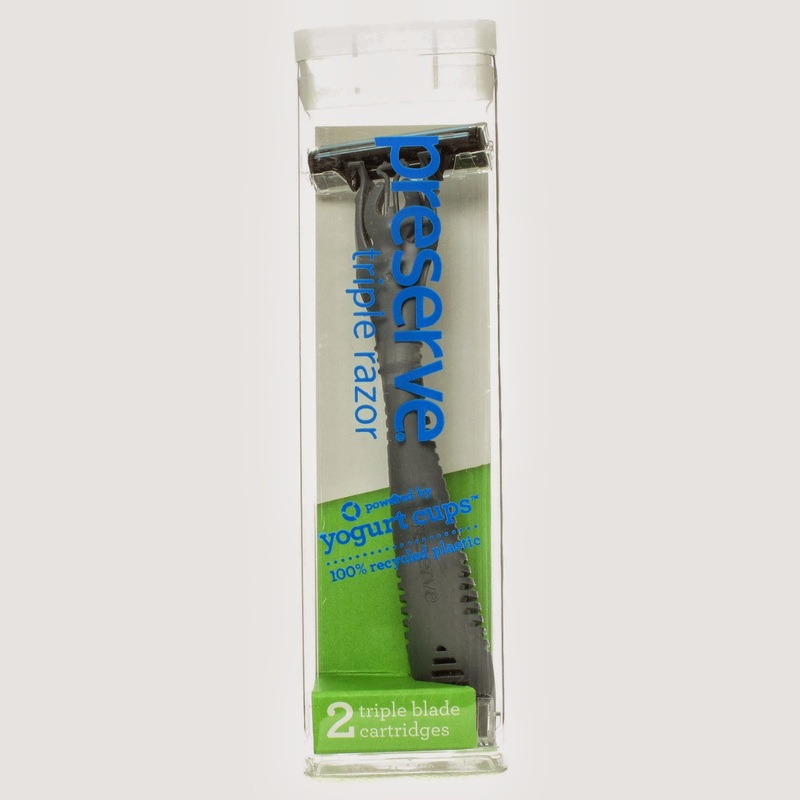 Preserve Triple Razors- made from 100% recycled plastic from yogurt cups! According to this article, razors should be replaced after every 3-7 shaves. In this post, Oprah.com also advises avoiding folliculitis (those dastardly little red bumps) by tossing disposables after a few uses. This interesting site- all about hair removal suggests that the disposables we abuse are really only designed for one or two uses. Geezoo! Think of all that trash! I'm so thankful to have found better options. 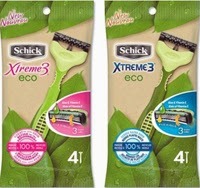 Schick Xtreme3 Eco is made from 100% recycled paper. 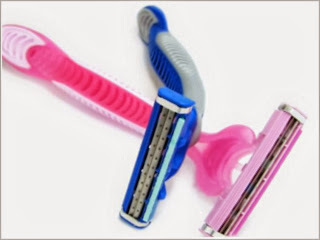 From now on, we'll buy recyclable razors in bulk (peace OUT razor burn) and replace them more frequently instead of paying big bucks for non-recyclable razors that waste money, energy and resources. And HEYO, all other razor companies! How about making some moves out there to start using recyclable materials for your products? A landfill loaded with used razors is decidedly NOT picture perfect. So let's get on that, 'kay? Quick. Let's not let THIS keep happening, friends. Readers, if you find any other recyclable disposable razor options or alternatives, please comment and let us know. Here's to smooth skin and planet Earth!